Monday’s installment had a couple of items that I think require some expanding upon. I gave you a little bit of a peek into what is going on but upon reflection, I think we need to fully open the window. Funny, because both stories are about exits: English language learners exiting ELL services and educators exiting MNPS. Students in grades one through twelve (1-12) who are screened using the WIDA screener and who score below 5.0 composite or 4.5 or below on any domain shall be entered into the ESL program. Students take the test in the spring and it dictates where they will be classified for the following school year. This year, 1% of the students who took the WIDA test scored high enough to graduate from EL services. Last year, it was 14%. That’s quite a drop off and you would think people would be doing a deep dive into the data to figure out what changed. English learners who participated in the 2016-17 administration of the WIDA ACCESS and scored 4.2 or higher for composite and 4.0 or higher for literacy may be exited from ESL direct services beginning in the 2017-18 school year. English learners who participate in the 2017-18 administration and subsequent administrations who score 5.0 or higher for both composite and literacy on the WIDA ACCESS may be exited from ESL direct service. Anybody see a problem here? Well, I’ve got a few. First of all, the state is setting high standards, then lowering them, and then raising them again. If my child scored a 4.5 on this past spring’s exam, they will be moved out of EL services despite the state’s definition of who qualifies for EL services. Confused yet? Furthermore, the TDOE says that next spring the standard will go back up to 5.0. What if only 3% of kids hit a score of 5 next year? Will we lower the standard to hit the 15% again? What’s to prevent that from happening? How did we even arrive at that magical 15% number? The state is using last year’s test fiasco as cover for this year’s EL test fiasco. They’re saying, Don’t worry. Next year we will have this year’s test to benchmark against and it will all be much clearer. But will it? What about this year’s kids? How are we going to determine who’s really ready to exit and who is not? The state argues that we don’t want to leave these kids languishing in EL services any longer than necessary. Fair enough, but exiting them early could prove equally disastrous. The situation is not that much different than it would be with kids with learning disabilities. The major difference is that most special needs kids have parents who are capable of being formidable advocates. That’s seldom the case for EL kids. This is an egregious situation that needs to be rectified as quickly as possible. The state needs to focus on why kids didn’t do as well this year and create a strategy to address that underperformance. In short, they need a policy that is good for kids, not the TDOE. Back in the fall, at a principal’s meeting, Dr. Joseph told the group that change was coming and people had the choice to get on the bus or get run over by the bus. Well, it seems like a lot of folks decided to get on another bus and head on out of town. Over the past year, MNPS has lost quite a bit of high quality talent. Ron Woodard, Lance Furman, Tim Drinkwine, Ryan Jackson, Nicole Cobb, Quincy Ingle, Aimee Wyatt, Frank Young, Joe Bass, Janel Lacy, Hank Clay, Katie Cour, Fred Carr, and Molly Sehring are just a few of the names of people who have left the district this year for various reasons. Those I’ve forgotten to mention please forgive me. I understand that with change comes change. When a leader takes over, he or she usually finds three types of employees: Those who are underperforming and clearly unqualified, those who are doing superior work, and those who are doing mediocre work but with the right leadership could be doing superior work. The first group needs to be removed quickly and efficiently. The second group needs to be recognized and extra effort made to help them transition. Time needs to be spent evaluating what it is that the last, and usually largest group, needs to elevate their game. In my opinion, identifying, evaluating, and motivating talent is at the forefront of a leader’s responsibilities. It is certainly not an easy task, but that is probably one of the reasons why quality leaders command the level of pay they do. In the case of the director of schools, the pay is more than either the Mayor of Nashville or the Governor of Tennessee makes. It is impossible for any leader to be successful if they do not surround themselves with talent. Nick Saban is Nick Saban not because of his brilliant offensive schemes, but rather because he has the ability to attract more talented players than the other coaches. Take away the talent and all you have is a brilliant mind and none of the success. Arguably, it was time for some of the people who left to go. Change is sometimes good for everyone. The litmus test I would apply is this: what has been the outcome of those changes? Have those who left gone on to equal or better opportunities? A quick glance tells me that Ron Woodard is now the number two guy in Maury County. Nicole Cobb is going to work for Vanderbilt. Lance Furman has gone to a leadership role at Lipscomb University. Ryan Jackson is a principal in Maury County having huge success with a STEAM initiative. Joe Bass is leading the communications department at Pinnacle Bank. Let’s also not forget the number of high quality classroom teachers who are now plying their trade in surrounding counties. It seems like the bus has dropped all of these folks off at some pretty good stops. I can’t really find anyone who’s been run over by the bus. In fact, a couple of them got calls from Dr. Joseph to come back over to his bus. The jury is still out on the people who have replaced those who left. I’ll let you decide which additions have been an upgrade. I don’t mean any disrespect to the people who have filled those shoes. And it should be noted that some of these positions still remain open. I believe we need to do a better job of valuing our talent as it is in high demand nationwide. MNPS Chief Human Resource Officer Deborah Story recently told the board, “There is a war for talent.” I believe that. I’m also a strong believer that a strong defense is the best offense. The best talent is often already on your team and keeping them from leaving is more beneficial than bringing in new talent. On a closing note, to be fair, I think leadership has begun to make this a priority. They’ve begun to more aggressively address the need for improvement to culture. The thing to remember is that it takes more than words. I once worked with a guy who could pitch a management plan like Nolan Ryan could pitch a fastball. The problem was, that was the extent of his capabilities. He was never able to model the plan and his actions often ran counter to what he preached. Therefore, his plans never became more than plans. The importance of walking the walk cannot be overstated. This week I received a list of all salaries of district employees along with the district organizational chart. I have yet to do a deep dive, but there are a few things that raise eyebrows and as I look into them I’ll share my observations. It should be noted, and since they won’t tell you I will, that Dr. Joseph and his Chiefs did not take the 3% raise despite being eligible for it. That is commendable. Today starts two days of district professional development for teachers. 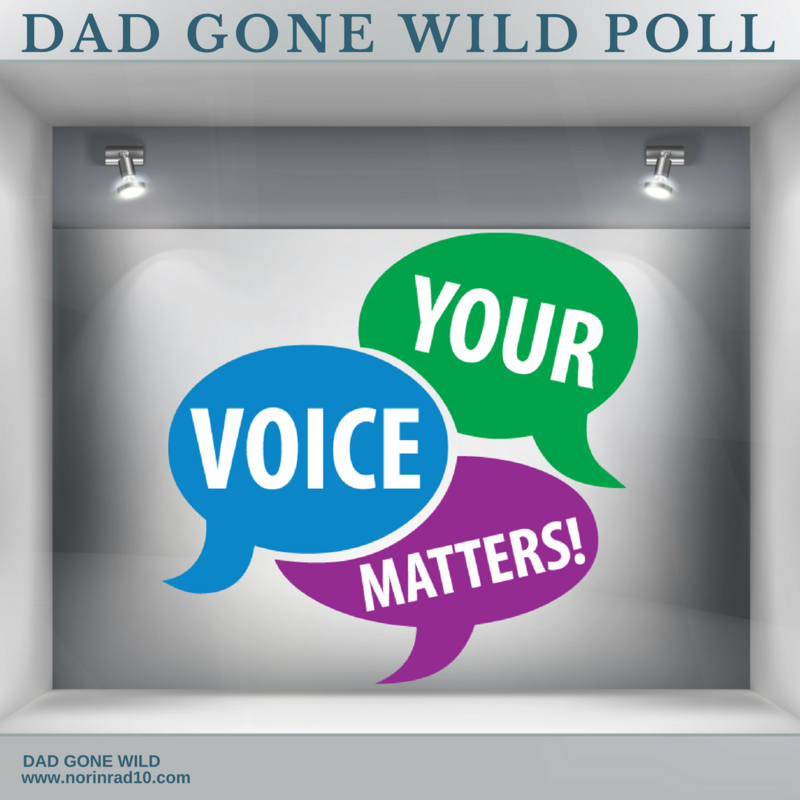 I’ll be interested in your feedback, and we’ll be doing a poll question on the subject this weekend. A wise person once said to me that timing is an integral part of quality PD. I’ll leave it at that for now. If you are in South Nashville and a Twitter user, I urge you to follow @CroftProjectLit. Big things are happening involving literacy and you’ll want to be a part. 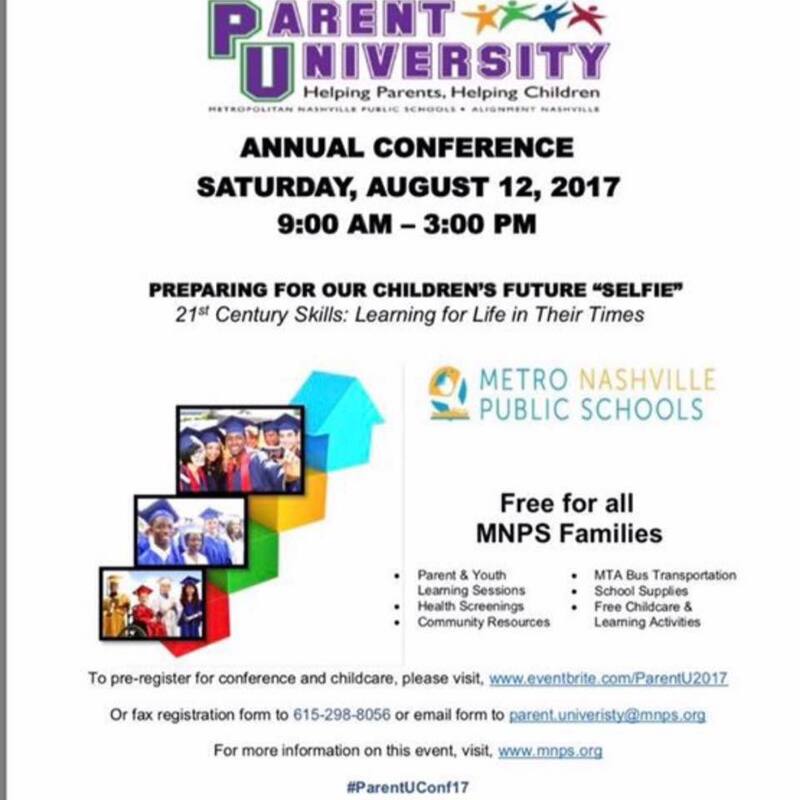 Parent U is coming up on Saturday August 12th from 9am to 3 pm. Parents, this is a great opportunity to find out more information about elements of your children’s education. Quick tip of the hat to MNPS’s Director of Facility Planning and Construction David Profitt. He’s had his hands full this summer facing the challenges of getting construction work done in an “IT” city. While people are rightfully frustrated, I’ve heard nothing but praise for him. I gave him a hard time last spring over the McMurray annex, but by every account he’s one of the good guys. Thank you for your hard work, sir! If you are a teacher and you are wondering why you are suddenly seeing school administrators more in your planning meetings, relax. MNPS has issued an edict to school administrators that they spend more of their time focused on being instructional leaders. They want principals and assistant principals to spend 40% of their time focused on instructional duties. The goal is to create greater alignment in regards to instructional practices in schools. Now you know it’s not you, it’s them. 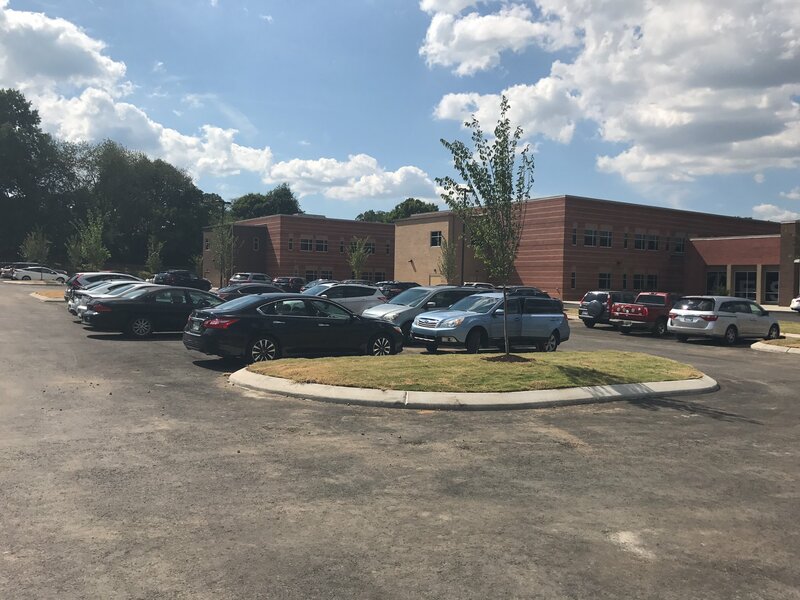 I wanted to share this picture of the parking lot at Tusculum Elementary School. This is what it looks the week before school starts on a day that teachers are not being paid to work. I could have taken this picture at any time in the last 2 weeks and it would have looked similar. This picture is also not an outlier. At schools all across the district, this is the scene that is being recreated. It is a reminder of our teachers’ dedication and professionalism. They are a force to be reckoned with and I want to acknowledge them. Thank you! That does it for this extra update. We’ll see you Friday at the regularly scheduled time. Praise, criticism, and corrections are always welcome at norinrad10@yahoo.com. Next WHERE DO I START?